Most competitions and markets want short stories over 1,500 words in length, but it’s possible to write a much shorter piece of fiction. Writing “short shorts” (stories under 1,000 words) can be rewarding, particularly if you don’t have a lot of time to write. Markets for these include the weekly womens’ magazines; here in the UK, My Weekly takes 850 word short stories and several of the magazines ask for 1,000 word pieces – as these fit onto a single page. A powerful effect can be achieved with very few words, and the internet in particular has given “flash fiction”, stories generally between 250 and 1,000 words. Science-fiction publications are often open to these, as they are a good length for exploring a single idea or world – perhaps something which would not work if developed into a full plot, but which leaves questions in the readers’ mind. You can go even shorter, though: how about a 100 word story or even 50 words? Don’t think it’s possible? Lots of people have been writing these, and they’re known under various names; drabbles (100 words), mini-sags (usually 50 or 60 words), and micro stories are some of the more common terms. Katy ripped the packet open, and the scent hit: thick, rich chocolate. She’d been good for weeks; another pound gone today. Time for a treat. She locked the door; Michael mustn’t see this. Ten minutes later, she had chocolate caked on her hands, round her mouth, even on her nose. Katy, satisfied, took her flannel and wiped off the face-pack. Another site I came across recently, www.commonties.com, invites authors to answer one of 20 questions. 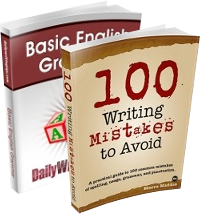 They want all answers to be true, but are also looking for quality writing – no more than 50 words. They pay $50 for each piece they accept. We ask the world 20 questions, pair the answers with art, and publish our favorites (we call them “jeles”) every Friday. Bacon, bodies, experiments, fire, organic, paper. We built a fire in the woods, camping alone. Joe and I were eleven, and Richard was leader because he was a week past twelve. “Let’s light it with a flint,” Richard said, once the wood was heaped. And we tried, despite our shivering bodies – then resorted to matches. We whittled sticks, snapped childish experiments. Joe produced rolls of floury bread and a fat packet, wrapped in greased paper. We strung the bacon onto green sticks and charred it crisp. No-one said organic, local produce or luxury range then — but sixty years later, I’ve never had a better sandwich. Why not give micro fiction a try? 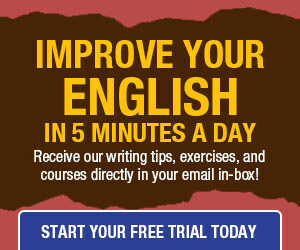 Post your 50-100 word short stories on the Daily Writing Tips forum and we’ll enjoy reading them! Don’t forget Six Sentences, a compilation of prose submissions limited to just six sentences. I’m a subscriber of your daily writing tips. And enjoying reading all the tips daily. It appears that you are using first person singular number to identify you, not plural. It made me inquisitive to know whether the site is a one man mission. May I know your name? I’m a teacher in an Indian College in its North-Eastern Part. We the faculties of the college publish a quarterly academic journal in the name of PRAGYAN. Will you allow us to reprint some of your tip and article, like one that you delivered today, in our journal? It’s a non commercial and non profit journal, we are publishing since the year 2003. We would be much obliged if you kindly give us nod. Hmmm that is what I would lack in. I would have lots of difficulty writing micro fiction, looks to difficult to cram everything together. D.F — have a go! It is surprisingly hard … but it can be a great way of learning to use words effectively. and copyblogger ran a twitter contest, requiring a story in exactly 140 characters! Jeff — I think you’re echoing a famous six-word story by Ernest Hemmingway: “For Sale: Baby shoes, never worn”. It seemed like a good idea at the time. It would keep my mind off everything else. I thought there’d be nothing to worry about. Nothing to remind me of earlier. But I was wrong, hugely wrong. The screeching scream of terror, the blood trickling down the wall. As I watched my friend’s life fade away, I knew it was my entire fault. There was no one else to blame. It was just the two of us. How could I explain it? How could I tell them? It would ruin their lives forever. She lay there, limp, damp and cold. Its not amazingly good, and I’m surely not going to win. But could you please give me some feed back on it. Thanks! Hey, just wanted some feedback on this if anyone reads it? The magnificent walls rose high above the smooth, golden surface; as did the vast lookout point at the top. They curved round to reveal a barrier of rocks placed unevenly to protect the towering doors; made to welcome the most majestic of guests. The little girl stepped back and smiled; her sandcastle was complete. (Loved the twist at the end) . You’re a really good writer! I’m in the same space as some of the commenters here , I have to submit a 50 Word story for a competition at our school and have been searching up 50 word stories ever since. I’ve tried my own , and many of them have worked- but now I’ve become addicted at reading other peoples:) They’re short snippets of story and if they’re good , I try and style my own writing like their’s. But one question , does anyone know any sites that have 50 word stories on them ?